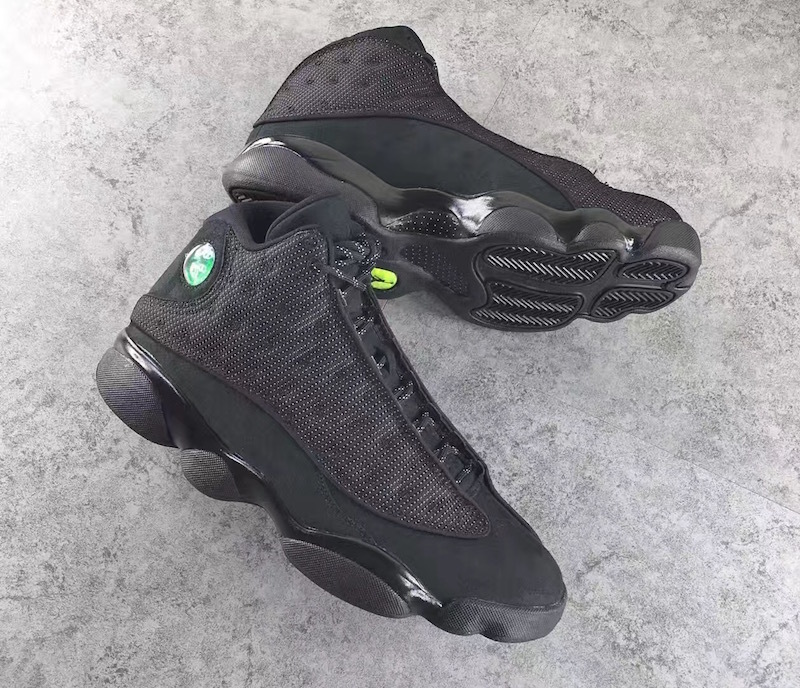 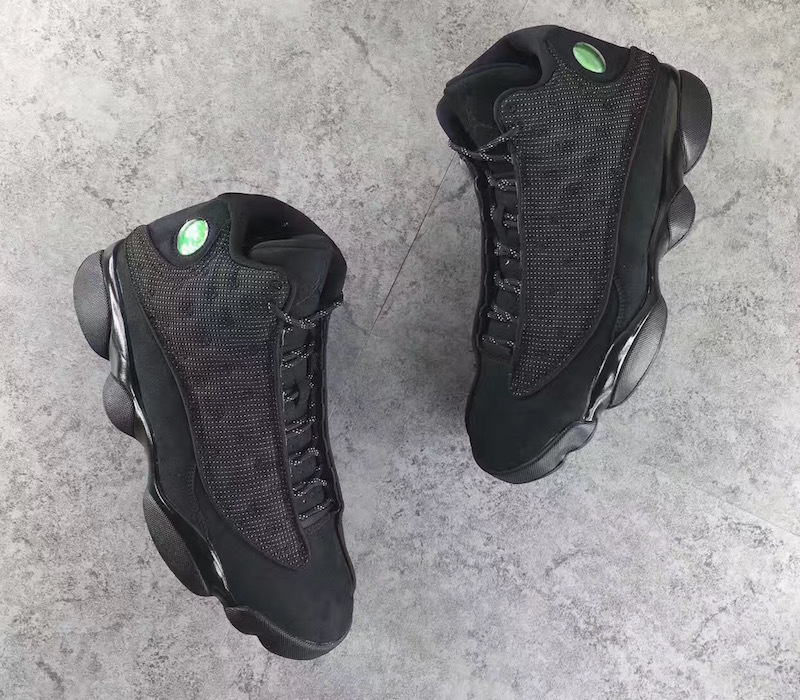 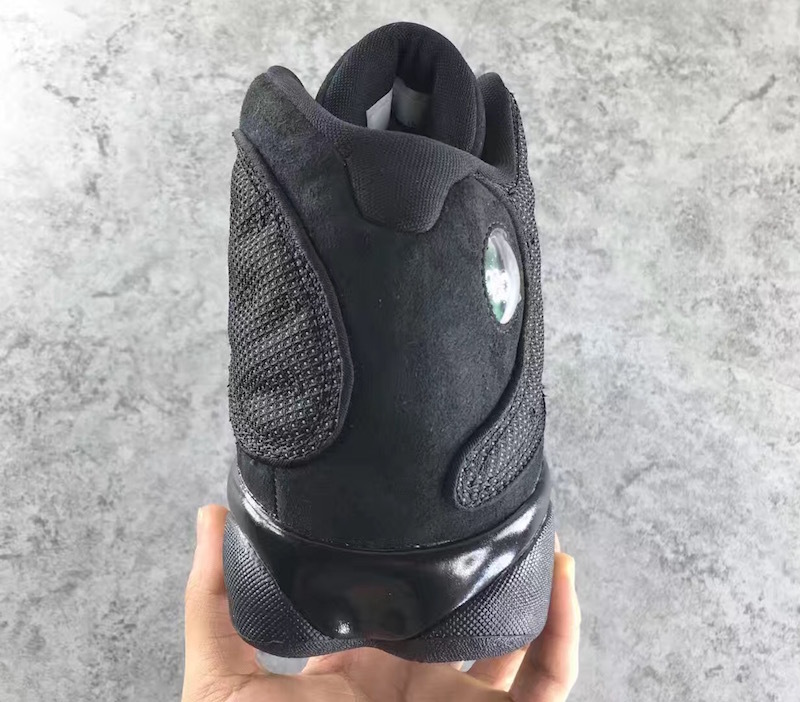 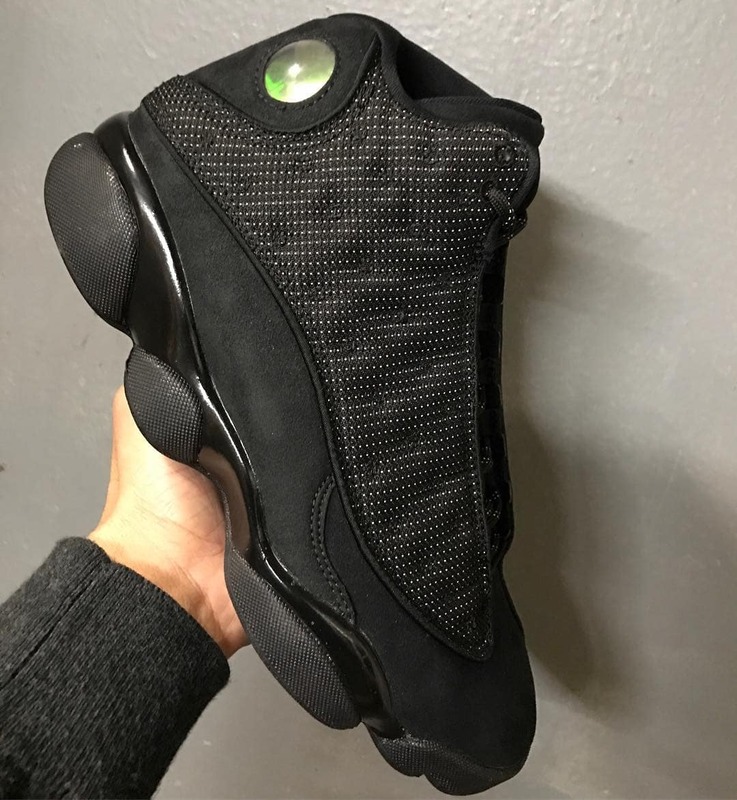 Jordan Brand will be releasing a Black Cat version of their popular Air Jordan 13 silhouette for the upcoming spring 2017 Air Jordan retro line up. 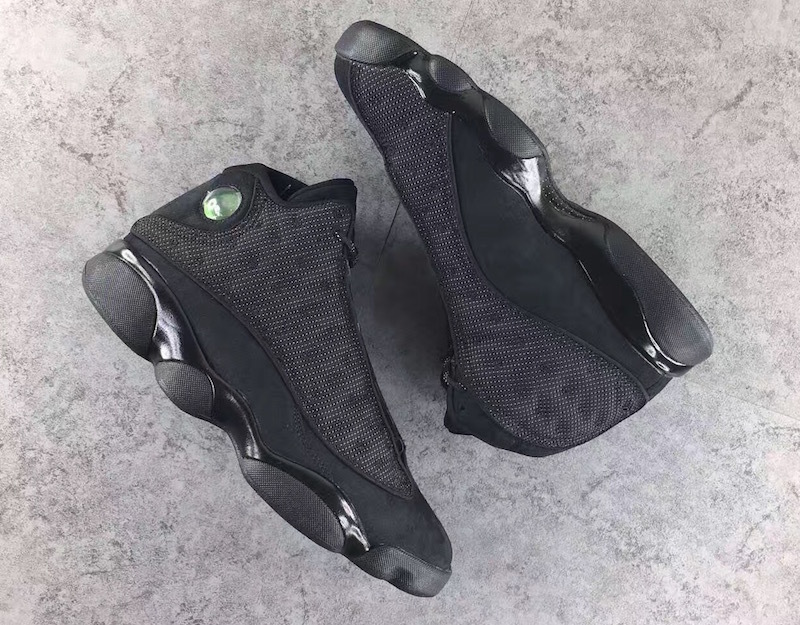 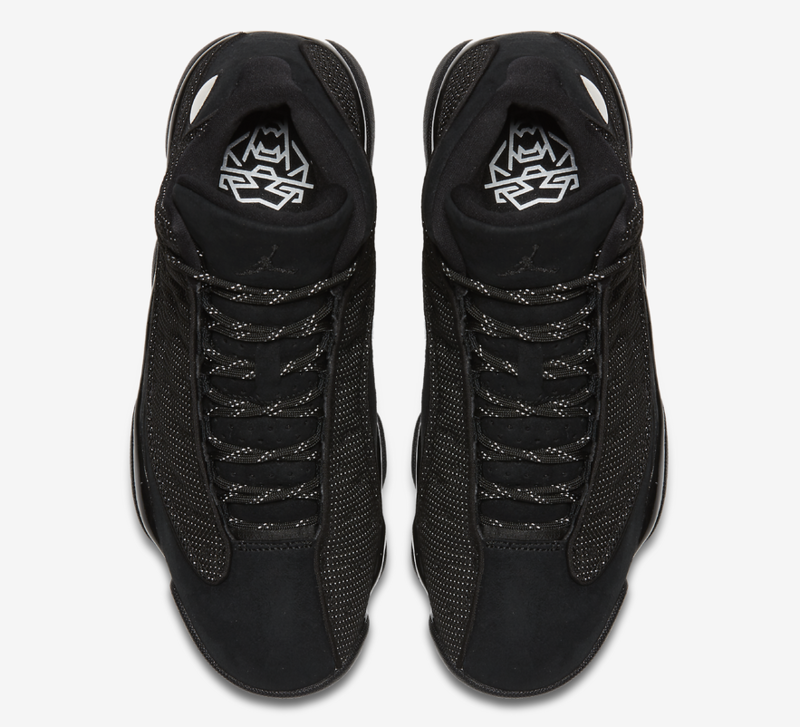 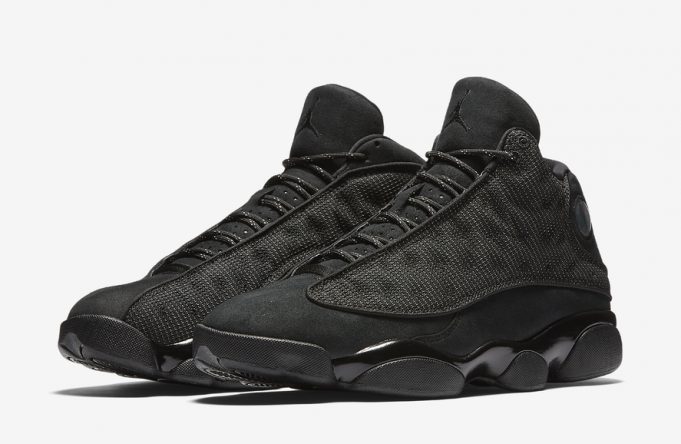 Jordan Brand draws inspiration directly from the Black Panther for the Air Jordan 13 and falling in tune with what inspired Tinker Hatfield for this silhouette, is an all black everything colorway for a full on panther look. 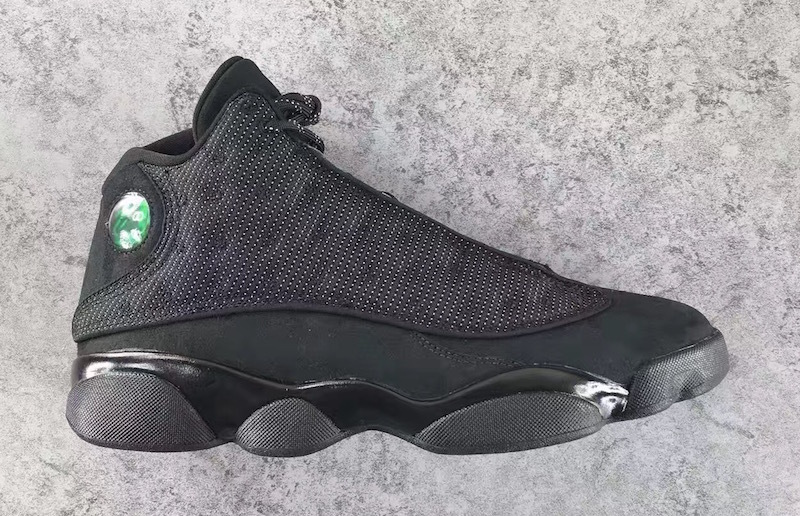 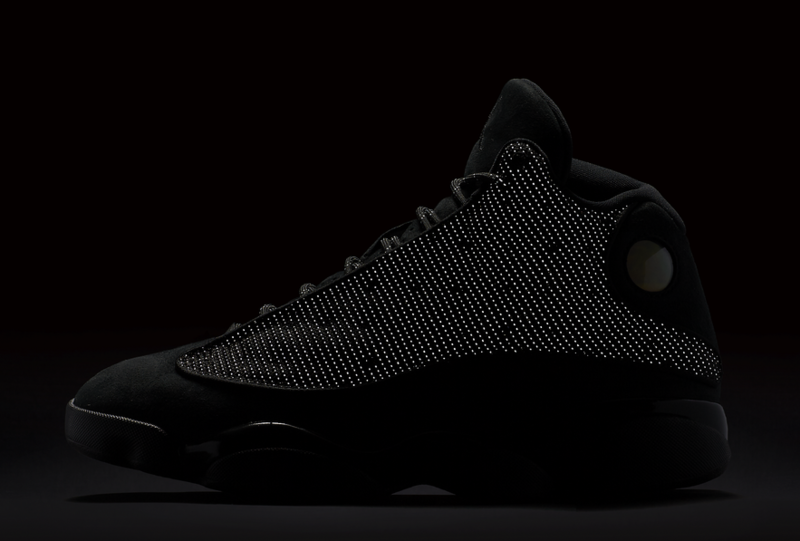 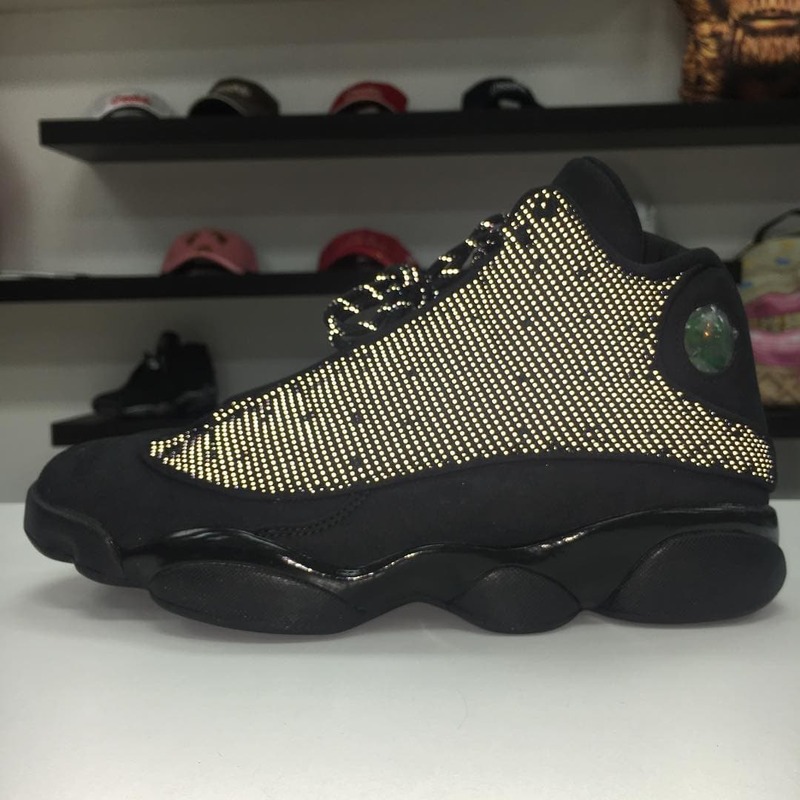 The Air Jordan 13 will feature the classic dotted side panels alongside the signature holographic heel pod. 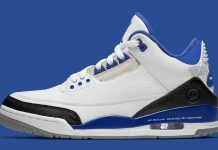 The upper side panels will feature 3M, as well as the laces. 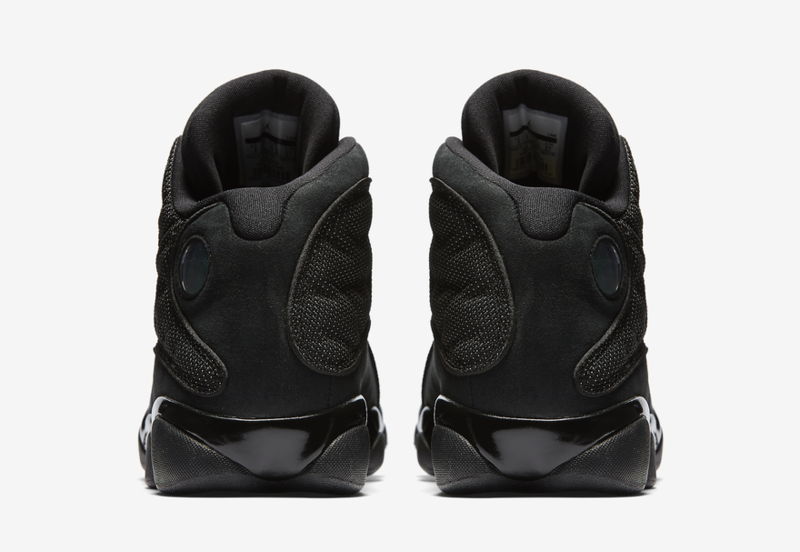 The outsole will also be done in black to coincide with the triple black theme. 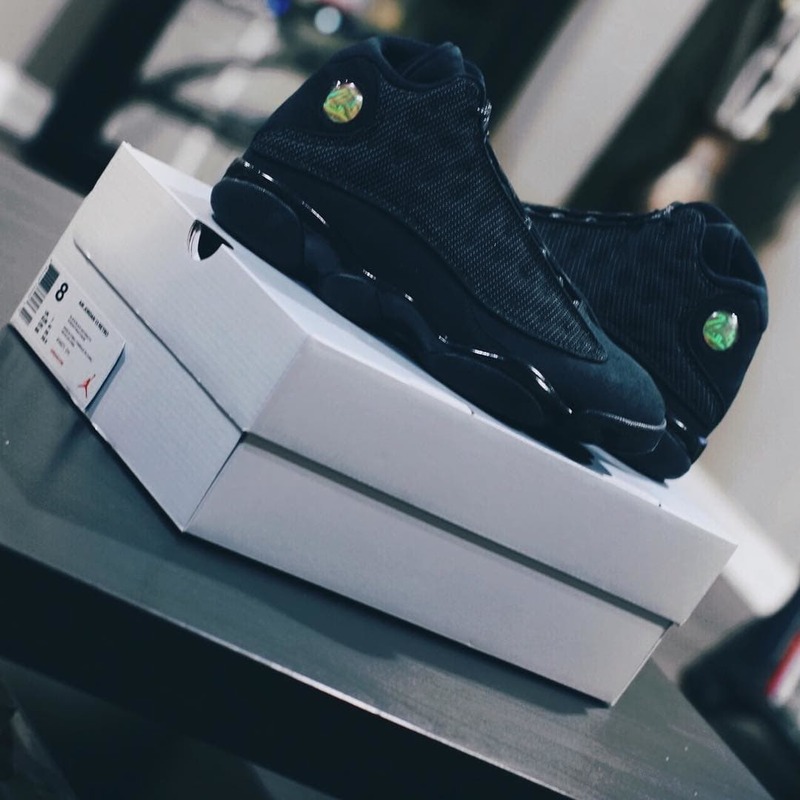 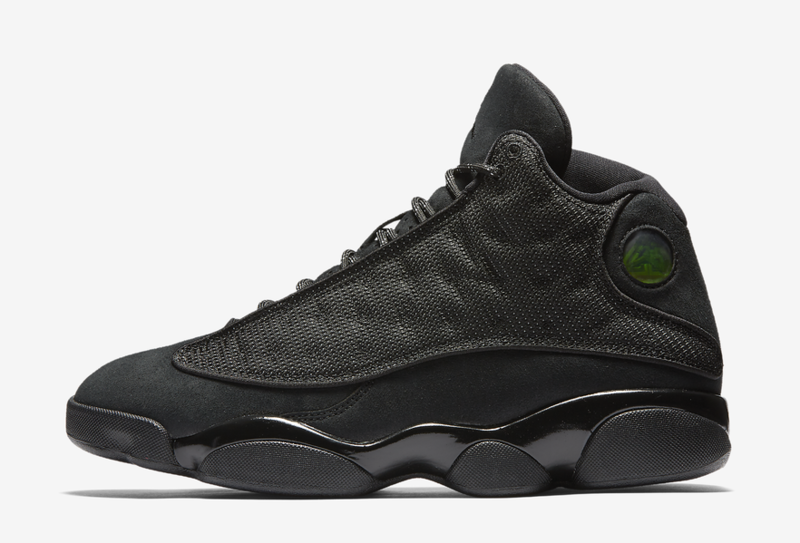 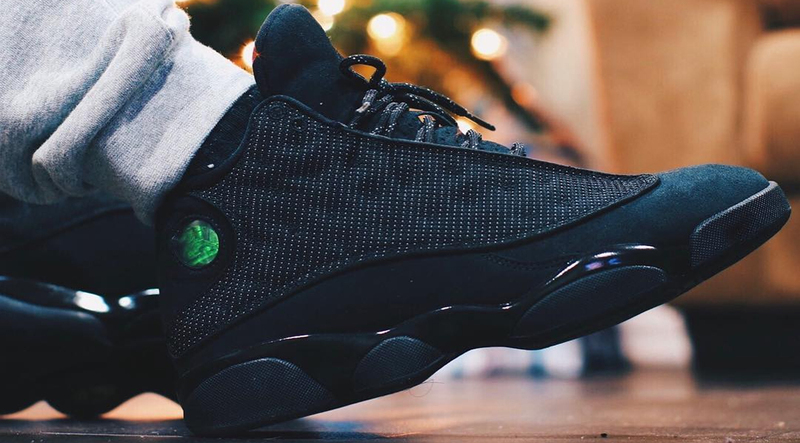 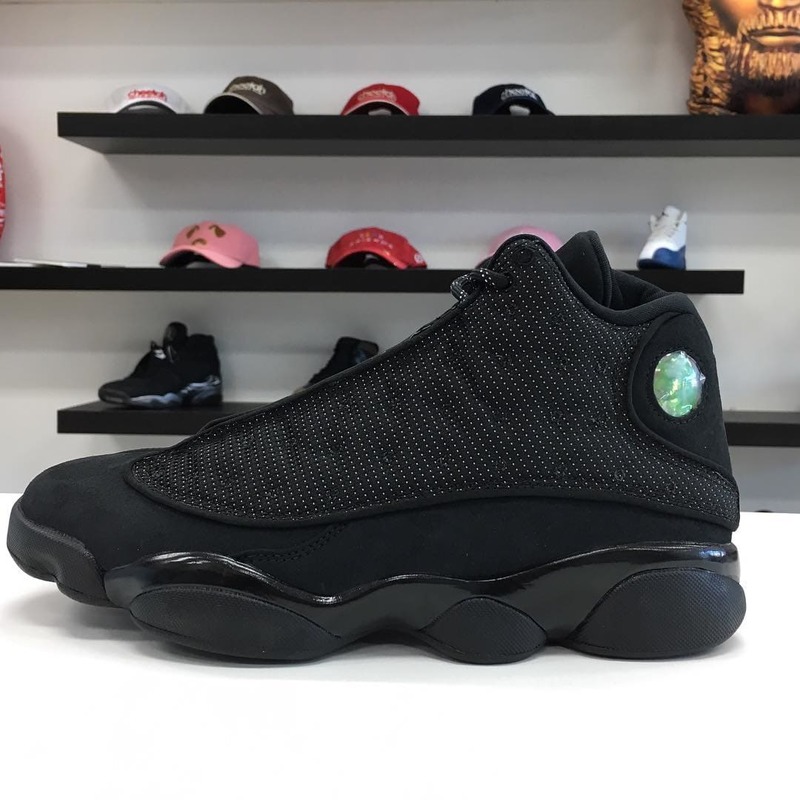 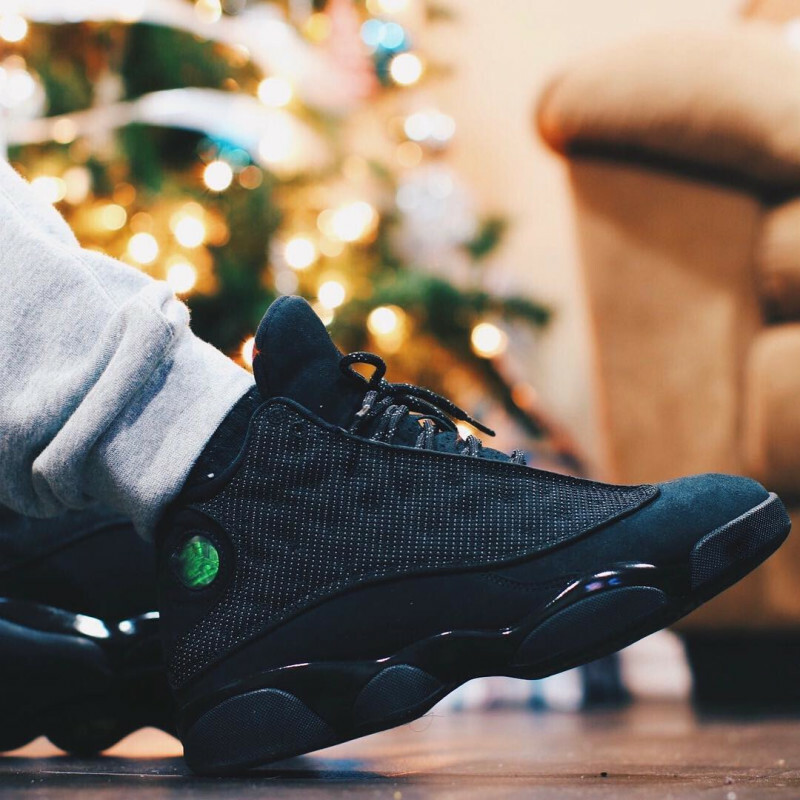 The Air Jordan 13 “Black Cat” Release Date is set for January 21st, 2017 for a retail price of $190. 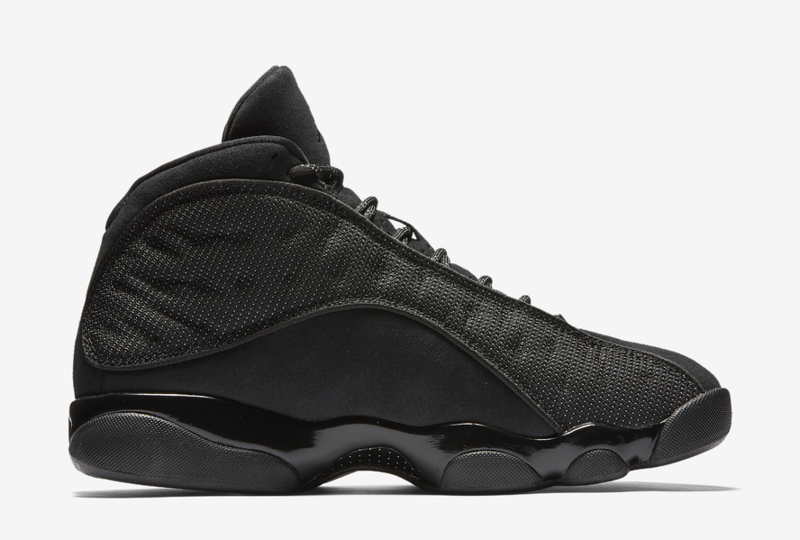 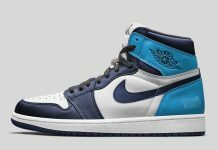 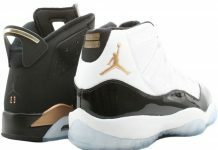 Look out for this particular retro to release at Jordan Brand retailers globally.